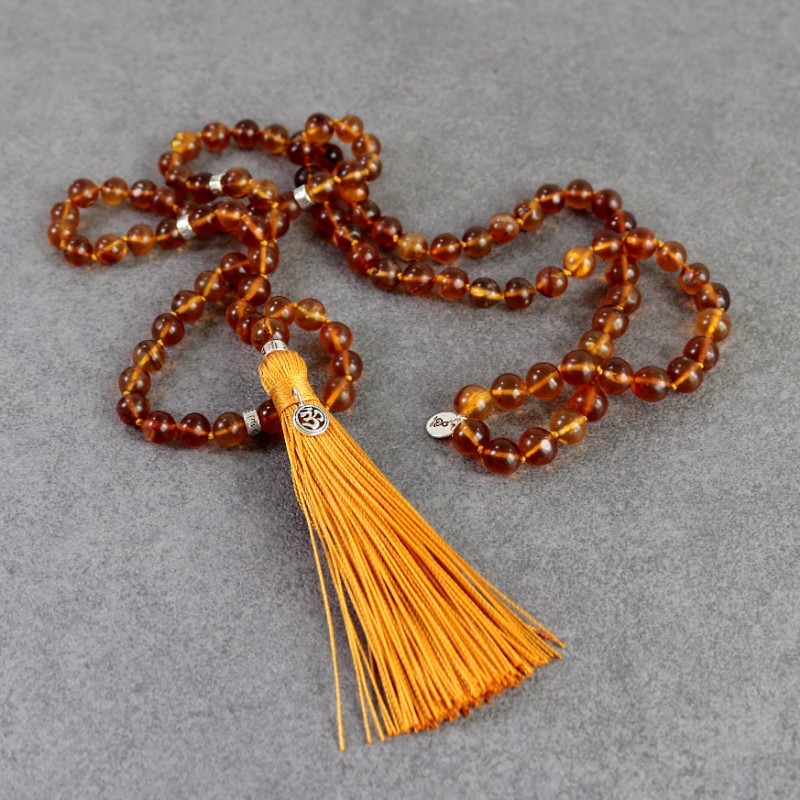 Healing amber mala is an exclusive mala that absorbs negative vibrations and helps the body to heal itself. 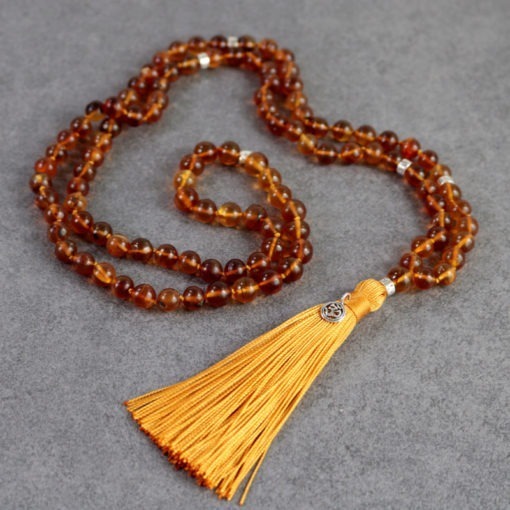 It attracts love, friends, money, success, and helps you become humble and feel respect for nature. Healing amber mala is a carefully hand knotted mala in zen style with 108 + 1 beads of genuin amber and sterling silver 925. Amber relieves physical and mental pain, warms and gives you new vitality. It cleans the atmosphere from disharmony, and is therefore ideal at home or at work. 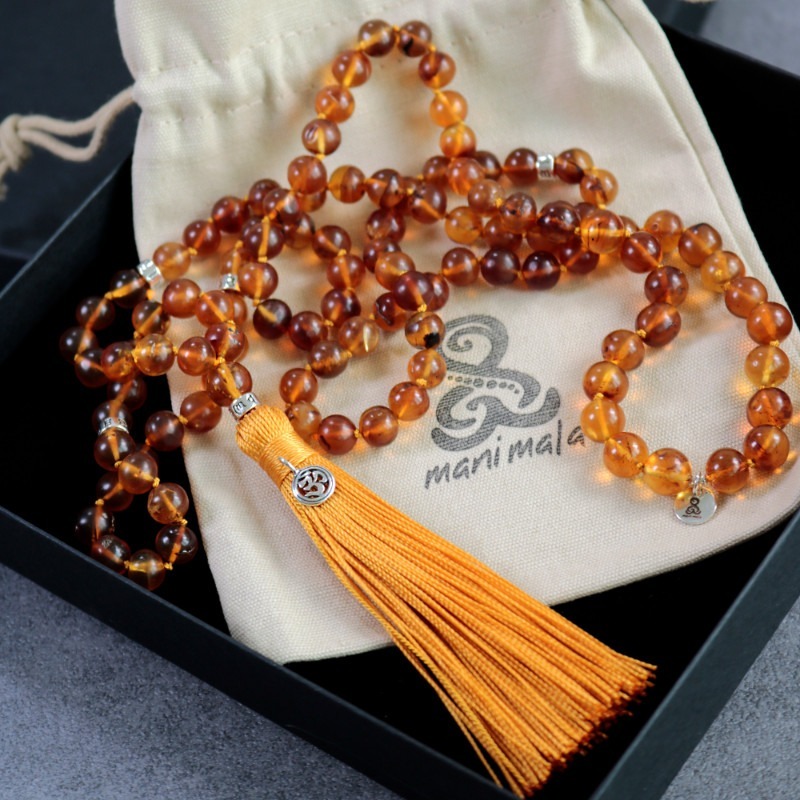 It attracts love, friendship, money and success. 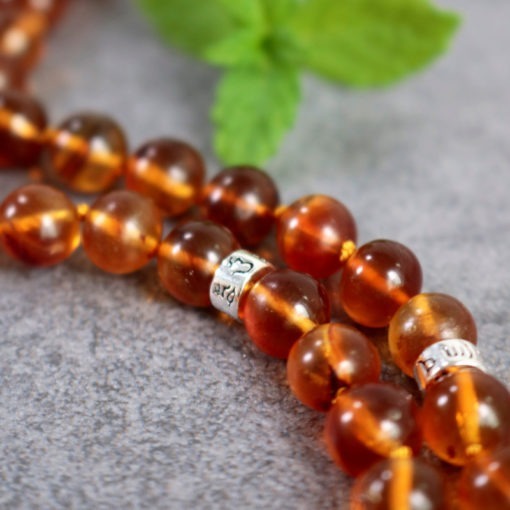 It’s a grounding stone that does not let you go into worry and depression. It is a stone with much power and strength tha balances uncertainty of various kinds. 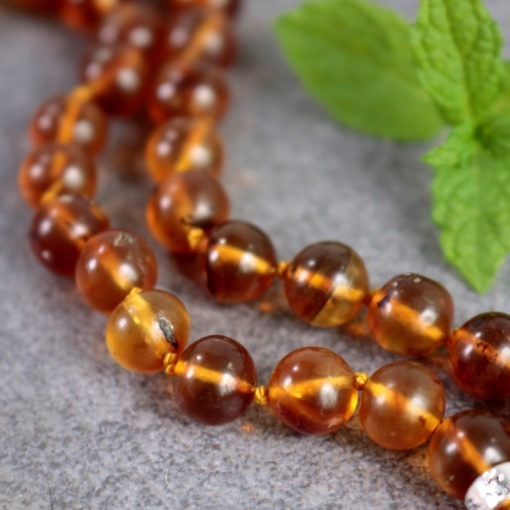 Amber is often called the northen gold and has been used for jewelry for several thousand years. It is made up of resin that has hardened for millions of years and become hard. 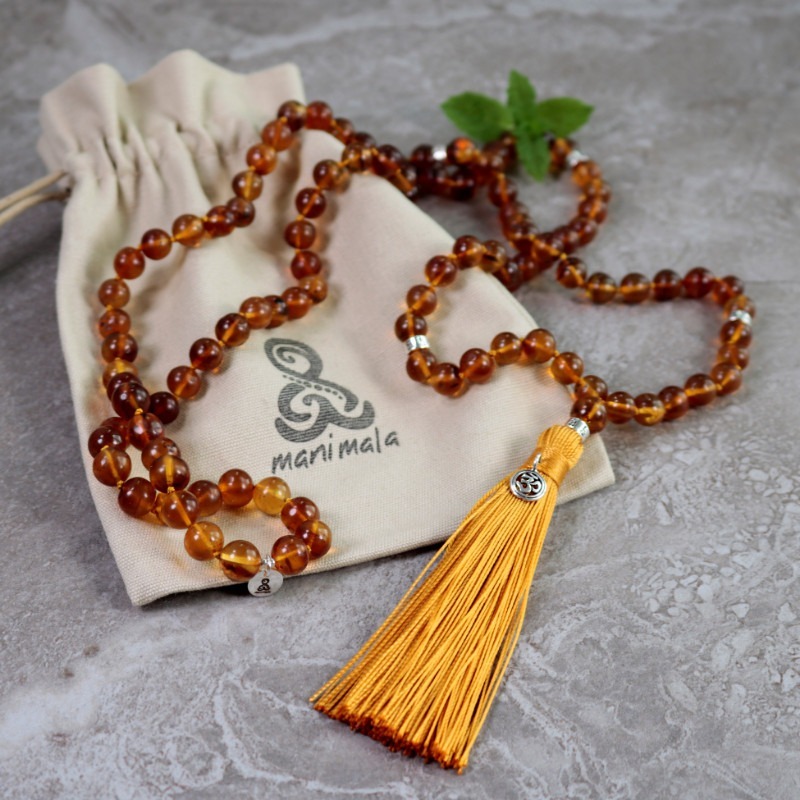 Amber is found in many places in the world and there are several age limits for when resin can be called amber, most accepted is that it should be more than 20 million years old. 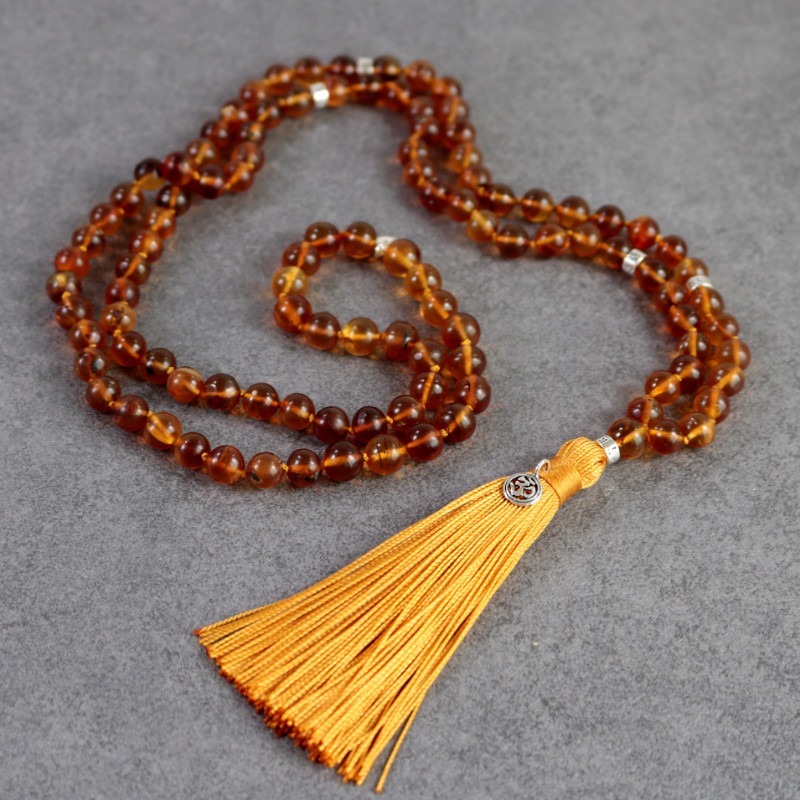 It is said to convey a warm, sunny and energy that stimulates the body’s self-esteem through transformation of negative energy into positive. It can be said even facilitating tricky choices.